Wellness & LongevityUtilizing an integrative approach to health and vitality. AestheticsAchieving a natural youthfulness in a holistic way, on the inside and out. An Integrative PracticeA mix of western and eastern best practices and diagnostic tests to help you achieve your optimal self. Dr. Anita Wang’s interest in preventive medicine, anti-aging, and skin health was instilled by her many patients that requested her to continue to care for them after their care in the Emergency Department. She decided to honor the requests of her patients and dedicated herself to ensure wellness and natural healthy beauty is maintained inside and out for her patients. Anita Wang, MD, FACEP is a Board Certified Emergency Physician, a Fellow of the American College of Emergency Physicians, a Fellow of the American Academy of Anti-Aging, and extensively trained in Aesthetics. She graduated from the University Missouri – Kansas City School of Medicine and has spent the over 20 years as an ER doctor previously at UCLA Medical Center, Eisenhower Medical Center and St. Mary’s Medical Center. Dr. Wang believes in helping others with limited resources, and has volunteered her services with Medecins Frontieres/Doctors Without Borders to provide medical aid to the impoverished regions of China. Her compassion and skills have taken her around the world and allowed her to adapt a unique skill set that merges eastern influence and western technology. 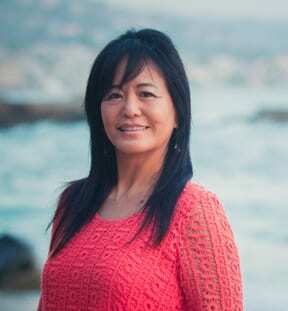 She is dedicated to delivering the highest quality holistic wellness, preventive medicine, and medical aesthetics and continues to practice Emergency Medicine as well as running her own practice and providing care to online patients. Dr. Wang is an avid cyclist who has cycled around the world on philanthropic bike tours for Keshet – A rainbow of hope for special needs children and Bao-ji Xinxing Aid for Street Kids. Together with her husband, she remains very active raising twin boys and continues to practice yoga, running, tennis, and cooking healthy meals for her family. Ready to Finally Feel Better? Let’s work together to focus on root cause resolution. My goal is to dig deep into what’s causing your health problems and determining optimum performance and wellness. Start your journey to optimal health today.